There are two types of winning hands: the Regular Hand and the Irregular Hand. Regular Hand: The regular hand consists of 4 sets (each set being a sequence, a triplet, or a kong) and a pair (called the "eyes"). Irregular Hand: The irregular hands are listed in category 10 of the "Scoring System" chapter. There are two of them: "Thirteen Terminals" and "Seven Pairs". In the "picking seats" and "breaking the wall" procedures below, the "dice count" is needed. The count is taken counter-clockwise around the table, starting with the thrower of the dice as "1", and finishing with the number which is the sum of the dice. That seat is the result of the dice count. In other words, a dice roll of "5" and "9" gives the dice thrower; "2" "6" and "10" gives his lower seat; "3" "7" and "11" gives his opposite seat; "4" "8" and "12" gives his upper seat. The four players sit around the table arbitrarily. Take one each of the Wind tiles (East, South, West, North). Turn the four tiles face down, shuffle them, and arrange them in a line. Take an odd number tile and an even number tile, and add them (face up) to the two ends of the line, sandwiching the Wind tiles and making a row of six tiles. An arbitrary player throws the dice. The player indicated by the dice count throws the dice again. The player indicated by the second dice count will be the one who first takes a Wind tile. If the second dice throw is an odd number, the Wind tiles will be taken starting from the end with the odd number tile; if it is an even number, the Wind tiles will be taken starting from the end with the even number tile. Starting from the player indicated by the second dice count and going counter-clockwise, each player in order takes a Wind tile. 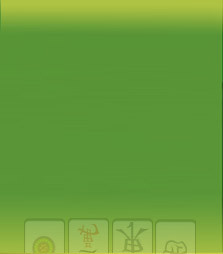 The player who gets the "East" tile is the starting East player, and takes the seat at the table indicated as "East". The player with the "South" tile takes his lower (right) seat; the player with the "West" tile takes his opposite seat; the player with the "North" tile takes his upper (left) seat. In a hand, each seat (player) belongs to a certain Wind direction: East, South, West, and North (in counter-clockwise order). Seat Wind: The Wind tile which corresponds to one's seat direction is one's Seat Wind. The other winds are called "Non-Seat Winds". "Seat Wind" is a category 3 (Honor Tiles) pattern, and is worth points. Dealer: The East player is sometimes also called the "dealer". The other players are called "non-East players". Cycle: The tournament is played in cycles, each cycle being four hands. In the first hand in a cycle, the player who has picked the East seat becomes the starting East (unless otherwise specified), who is the dealer for the first hand. Passing the deal: After a hand is completed, the South player in the previous hand becomes the new East player in the next hand. In this way, in a cycle each player has one chance to become the dealer. In the Zung Jung Rules, the "Prevailing Wind" (Round Wind) is not recognized. Also, the deal always passes (East never repeats the deal). The dealer has the advantage that he plays first in the hand, but enjoys no additional privileges in scoring. The procedure for shuffling the tiles depends on whether the automatic mahjong table is available. First, turn all tiles face down. The four players shuffle the tiles with both hands for at least 20 seconds. The players should endeavor towards a thorough, random shuffling of the tiles. Each player should from time to time lift his hands off the tiles, and must not deliberately retain certain tiles with his hands. If any tiles are exposed face up during the shuffle, these tiles should first be turned back face down before continuing the shuffle. The shuffle should be extended to at least 7 seconds after any tiles have been exposed; the shuffle cannot end without at least 7 seconds of shuffling without any tiles being exposed. When a player feels that he has finished shuffling, he should indicate so by withdrawing his hands from the center of the table (where the tiles are). The building of the wall can commence only after all four players have withdrawn their hands and agree that the shuffling is finished. A player may not on his own begin to build the wall, without waiting for the agreement from the other players that the shuffling is finished. If any player does so, his opponents have the right to tear down his wall and shuffle in those tiles, and the judge has the right to examine his wall to check for any suspected cheating. A player who has withdrawn his hands may resume shuffling at any time. Each player builds 17 stacks of two tiles each in front of himself. If any tiles are inadvertently exposed face up during the building of the wall, some tiles should be taken and shuffled with the exposed tiles; any other players may also take some tiles from their own walls and add them to the tiles to be shuffled. The four players push their walls into a square formation. The area surrounded by the wall is called the "river", into which discarded tiles are placed. In order to make enough room for the river, the walls should be placed end-to-end to form a large square (not end-to-edge which would make the river smaller). Parts of the competition will take place on automatic mahjong tables. Please follow the judge's instructions concerning their use.